Ashby is used to being in space. His ship, the beloved Wayfarer, is his home and has been for quite some time. It may be cobbled together from bits and pieces, lovingly tendered by Kizzy, his eccentric engineer, but it hasn’t failed him yet. His filing has, however, so Ashby is looking forward to welcoming Rosemary on board. Unfortunately for both of them, not all of Ashby’s crew share his enthusiasm for their newest recruit. Ashby and Rosemary carry the bulk of the narrative between them but other members of the crew share some fantastic page time as their species, worries and deepest, secret desires are explored. Chambers crafts the story wonderfully, the main narrative interspersed with the wants and doings of the Wayfarer’s crew as they travel to a vast, all expenses paid tunneling job at a far off planet. 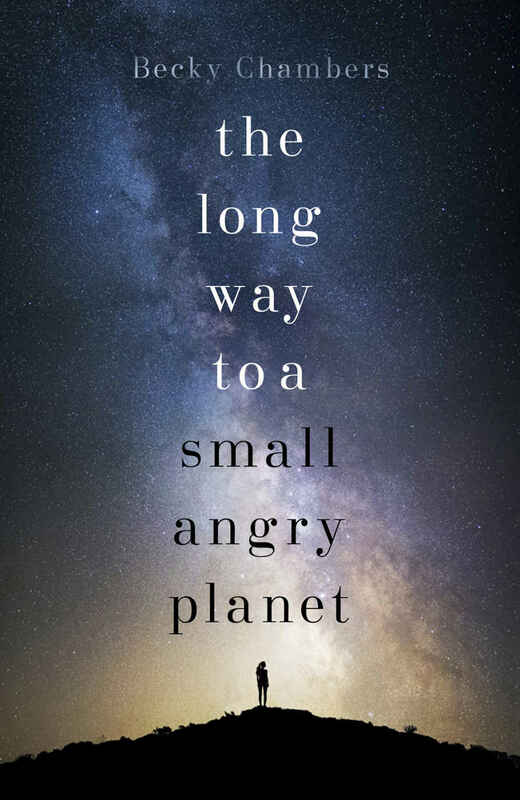 The Long Way to a Small Angry Planet is space opera at its best. The worldbuilding and depiction of a multitude of characters and alien species is perfect, and is really the main focus of the book; the plot of the main narrative serves as a journey, allowing the examination and portrayal of the characters’ individual, engrossing and at times hilarious stories, and is also a superb examination of relationships, race, politics and prejudice. Once started, this book is hard to put down, and it is easy to see why it is an awards contender. The reader easily develops affection for its characters and there is a distinct touch of Firefly about the Wayfarer and its crew. A recommended read and hopefully there will be more of the Wayfarer’s adventures to come.